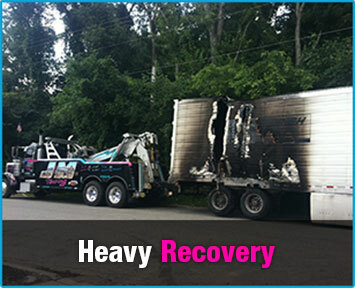 While J & M Towing is available 24/7 for all kinds of light, medium, and heavy duty towing, it is our heavy-duty recovery services which really separate us from the competition. At the heart of a fleet is a 40-ton Peterbilt rotator crane with 5 winches and the ability to lift a truck and spin it 360 degrees. It is fully equipped with special recovery equipment so whether your dump truck has run off the road or you need to lift a generator or A/C unit onto a roof, we can get it done. We have 3 forklifts for use when necessary and while we have a moment, we want to tell you about our people. They’re simply the best in the business. 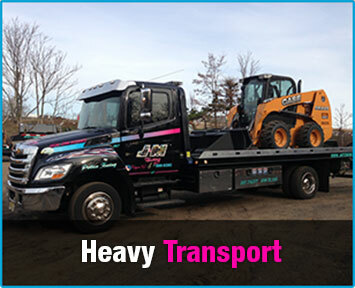 All of our heavy-duty operators are either Wreckmaster or TRAA certified. They are prompt, courteous, experienced, and thoroughly professional. Many of them have been with us for a long time so they not only know their job, they know what is expected of them. 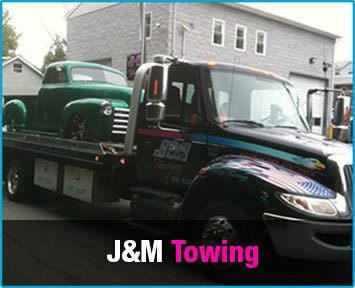 When J & M Towing is on the job, you can take confidence in the fact that one of the best in the business is behind you all the way. Thank you for your business and for placing your trust in us, we won’t let you down.